Well Doctor, Inc. is a complete water well service company located in Elgin IL. They are family-owned and operated and have three generations of well drilling and well repair experience. Well Doctor needed a simple and easy solution to establish an online presence for their business. 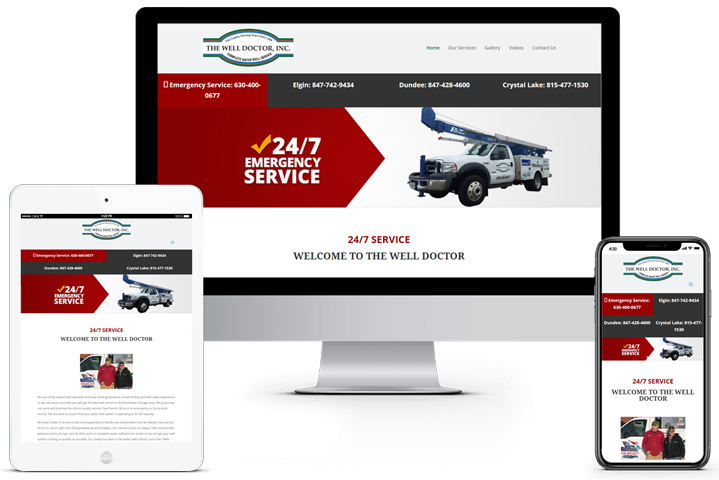 Clicks Web Design was able provide a website that promoted their 24/7 emergency services, display videos of their work, and dial in their messaging to promote the SEO benefits of being online. A simple solution with big impact for this local business.